The School of Health Sciences will be widely recognized as a premier educator of health science professionals who are known for disciplinary excellence, multidisciplinary respect, cultural fluency and thoughtful leadership. We want students of each profession to be at the leading edge of their discipline, to work with and respect the disciplinary knowledge of other health professionals, serve diverse human factors in different work arenas, and apply leadership principles in a values-oriented and needs-based way. The School operates in a culture of assessment, dialogue and innovation to meet challenges and create necessary changes for developing quality health care professionals. 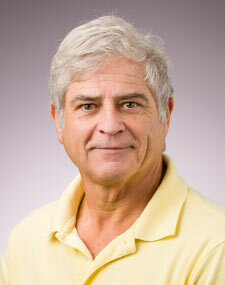 Dr. Borstad teaches in the areas of neuroscience, neurologic rehabilitation, motor control, and research. 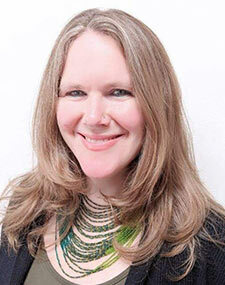 She is a faculty member for the international service learning course to Merida, Yucatan, Mexico. 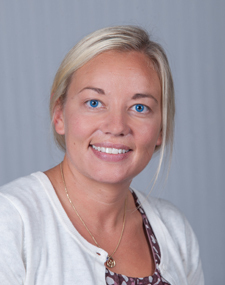 Dr. Borstads research has focused restoration of sensorimotor control of the upper limb following stroke. Within this broad topic she has contributed to work on the mechanisms associated with positive neuroplasticity associated with sensory rrehabilitation and Constraint Induced Movement Therapy. She contributed to the development of a Virtual Reality Game for upper limb rehabilitation post stroke, called Recovery Rapids. In collaboration with colleagues in computer science she is working on the development and validation of two measures of somatosensation. Education: BA Biology, St. Olaf College, 1987; BS Physical Therapy, University of Minnesota, 1993; PhD Rehabilitation Science, University of Minnesota, 2004. 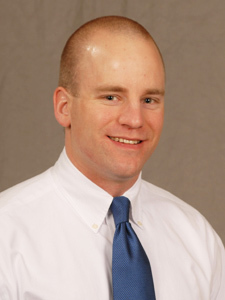 Scholarship: Dr. Borstad's research evaluates soft tissue alterations at the shoulder and their effects on shoulder biomechanics and he is also studying the relationships among tissue tightness, motion and pain at the shoulder. 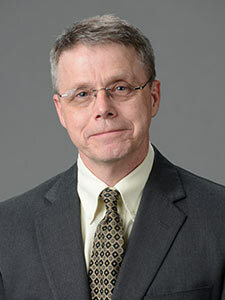 He has authored or co-authored over twenty-five peer-reviewed manuscripts, three textbook chapters and is an editor of Therapeutic Exercise: Foundations and Techniques. Teaching: Biomechanics for Physical Therapy; Musculoskeletal Science and Applications; Evidence-Based Practice in Rehabilitation; Advanced Therapeutic Progressions; Small Group Research Practicum. 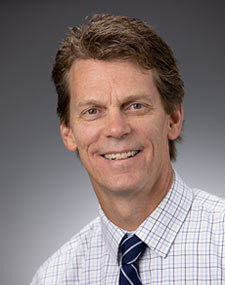 Service: Dr. Borstad is engaged in state, national and international activities related to the physical therapy profession including abstract and grant reviewing and continuing education assessment. 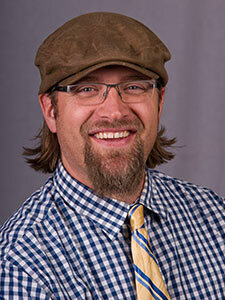 He is on the Board of Directors for St. Ann's Residence in Duluth. Former Child Protection Division Manager for Ramsey County Community Human Services for nine years. Seventeen years in child welfare services with Ramsey County. National presentations/ workshops in Washington, California, Missouri, Arizona, Pennsylvania, Washington, DC and Maryland on disproportionality in child welfare, transformational systems change, kinship care, poverty and neglect issues and anti-racism leadership development, implementation and training. Interests include traveling, child welfare and authentic race dialogue facilitation. 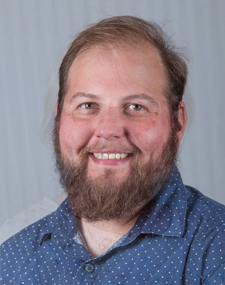 Steve joined the Occupational Therapy Program at CSS in the summer of 2013 and served as the Department Chair until August of 2018. 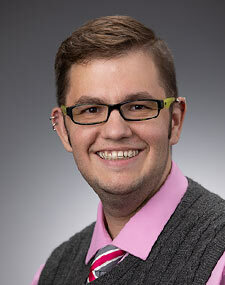 He is currently a full-time faculty member in the Occupational Therapy Department. 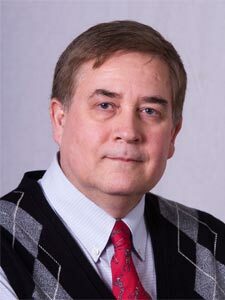 He earned his bachelor degree from the University of Minnesota-Duluth (1980), MOT degree from Western Michigan University (1983), and ScD from Boston University-Sargent College of Health and Rehabilitation Sciences (1997). 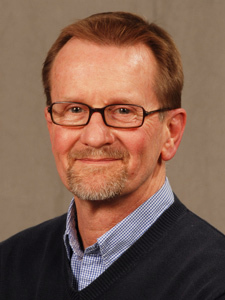 Prior to coming to CSS, Steve was a Professor in the Occupational Therapy Department and Director of the Rehabilitation Science Program at Concordia University Wisconsin. 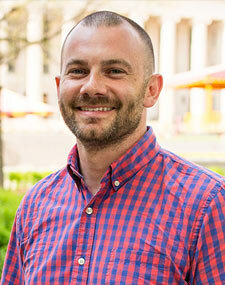 Steve is teaching courses related to evidence-based practice in occupational therapy. 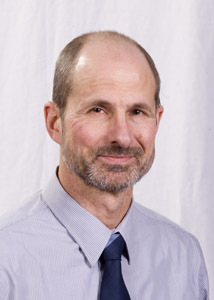 Steve’s research interests include motor control and motor learning basis of pediatric interventions including constraint-induced movement therapy, motor imagery, and intensive interventions for children with cerebral palsy. 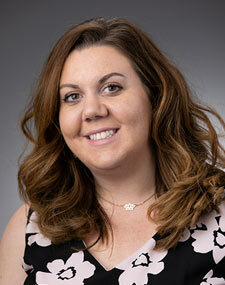 Emily Didlo joined the Department of Occupational Therapy as the Administrative Assistant in 2017. Emily earned her associate degree from the Medical Administrative Specialist program at Wisconsin Indianhead Technical College in Superior in 2009 and her Bachelor of Arts degree in Communicating Arts from the University of Wisconsin Superior in 2013. She was a Student Services Assistant at Wisconsin Indianhead Technical College in Superior for four years before joining the College of St. Scholastica community. One fun fact about Emily is that she used to be a radio announcer in college and just out of college. Emily is currently working towards her MBA in Leadership and Change at The College of St. Scholastica. Emily enjoys anything musical and caffeinated. She has been playing piano for 21 years, likes to find old records at estate/yard sales, and always has music playing wherever she goes. Her growing book collection keeps her place nice and cluttered, and can't even let herself wander around a library for too long without taking home numerous books to add to her piles. Cindy teaches SWK 4441 Social Work with Communities, focusing on social work with communities/macro systems. Cindi has worked for several years in community organizing projects, including East Hillside PATCH, is a CSS alumnus, and joined us in 2006. 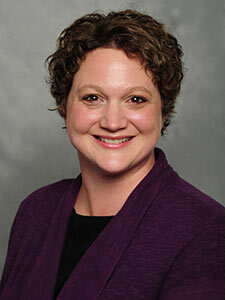 Dr. Kelly Erickson is serving as Chair of the Department of Occupational Therapy in the rank of Associate Professor. She has been practicing as an occupational therapist for 20 years with practice focus in occupational performance, behavior management, and sensory processing across the lifespan. 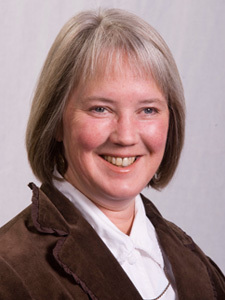 Her teaching roles include Basic Tenets in OT, Occupational Performance II: Integrated Capacities and Abilities, and Evidence-Based OT courses; previous courses included Foundations in OT, Psychosocial OT Biomechanics for Occupational Therapy Practice, Neurorehabilitation in Occupational Therapy Practice, and Level I Fieldwork On-Campus Clinic. Occupation as the core of evaluation, task analysis, and intervention processes is a consistent thread throughout her courses. 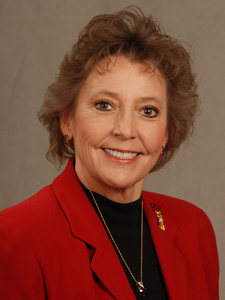 Dr. Erickson has a master's degree in occupational therapy and received her doctorate in psychology from Walden University with a dissertation titled “Perception of Stressors and Resources for Managing the Deployment Process as Predictors of Reservist Spouse’s General Wellbeing." She is a calibrated rater of the Assessment of Motor and Process Skills (AMPS) through the Center for Innovative OT Solutions. 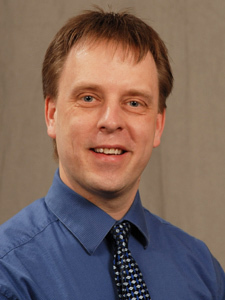 Dr. Erickson is a member of the Minnesota Occupational Therapy Association (MOTA), the American Occupational Therapy Association (AOTA), and maintains certification with the National Board for Certification in Occupational Therapy, Inc. (NBCOT). 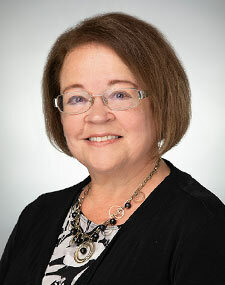 She recently became a Credentialed Leader in Academia by completing AOTA's Academic Leadership Institute. 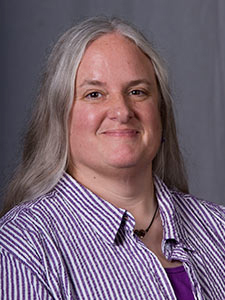 She has research interests that include use of everyday technology as assistive devices for occupational performance and as therapeutic media in the occupational therapy process. Ongoing research projects include long-term outcomes of an on-campus teaching-learning clinic in occupational therapy curriculum. 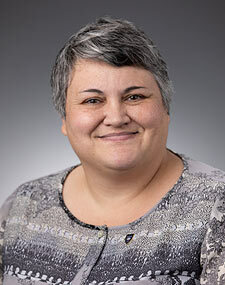 She has presented at various occupational therapy conferences, the Minnesota e-Health Summit, the American Association of University Professors Conference on the State of Higher Education, and Assistive Technology Industry Association conference. Erickson, K. (2017). Evidence-based uses of mobile devices: Assessment, intervention, and outcomes: CE article. OT Practice. AOTA, Inc.
Dr. Erickson is currently serving as the Editor-in-Chief of the AOTA Knowledge Transfer Content Development Board, which includes overseeing item writing, establishing and completing timelines for product review, reviewing the online exam prep product, and coordinating the writing of editorial board members. 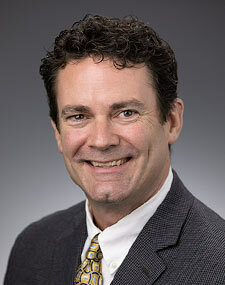 Dr. Erickson served as Co-Administrator of AOTA's Evidence-Based Practice Evidence Exchange and remains an approved Critically Appraised Paper (CAP) reviewer with AOTA. 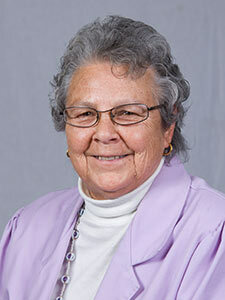 She served on The College of Saint Scholastica Alumni Board of Directors. Dr. Erickson is continuously involved with civic community service. 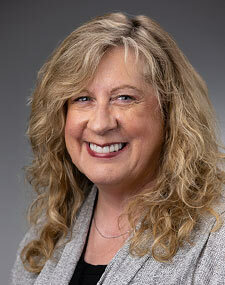 She is currently a hospital advocate with Programs for Aid to Victims of Sexual Assault (PAVSA). 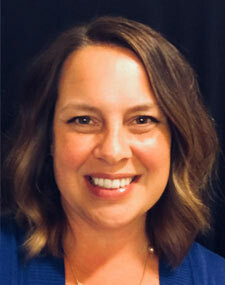 She was the co-founder of the Duluth Area Special and Sled Hockey organization, which has been in operation since 2011 providing community hockey opportunities in both competitive and casual experiences for individuals of all abilities and needs. She also takes on frequent volunteer roles within the Hermantown Youth Hockey Association and her church organization. 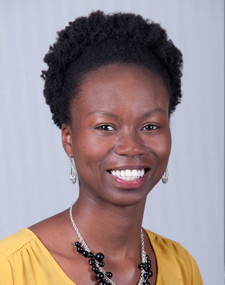 Maima Fant, Assistant Professor at the College of St. Scholastica has experience working as a clinical social worker and mental health therapist with individuals and families in community and private outpatient clinic settings. She has worked with individuals, families and groups to address mental health issues using treatment modalities such as: Cognitive Behavioral Therapy (CBT), Trauma-Focused Cognitive Behavioral Therapy (TF-CBT), motivational interviewing, and Play Therapy. Maima is passionate about social justice, culturally responsive care and maternal mental health initiatives. 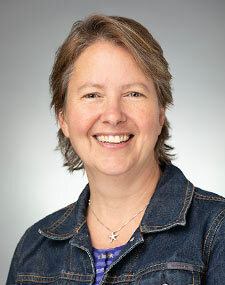 Nancy has been an Assistant Professor in the Occupational Therapy Program at The College of St. Scholastica for 19 years. She received her Bachelor of Science Degree in Occupational Therapy from the University of Wisconsin- Milwaukee, and her Master of Science degree in Therapeutic Science from the University of Wisconsin-Madison. 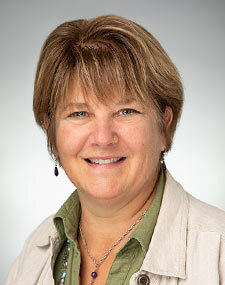 From 2000 – 2008 Nancy worked as a consultant for the Fetal Alcohol Diagnostic Program in Duluth, MN. Prior to working at St. Scholastica, Nancy worked for 12 years as an occupational therapist with the Duluth Public Schools. 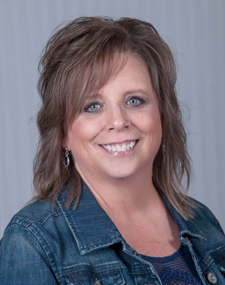 Nancy’s teaching responsibilities have focused primarily on pediatric occupational therapy. 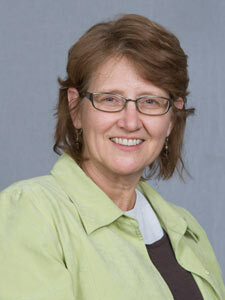 In addition, Nancy has taught for four years in St. Scholastica’s Dignitas Program. 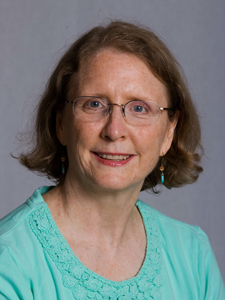 Nancy’s scholarship and research interests include: the role of occupational therapy in addressing the effects of prenatal alcohol exposure, occupational therapy intervention for children with handwriting needs, and occupational therapy intervention for children with sensory processing disorders. 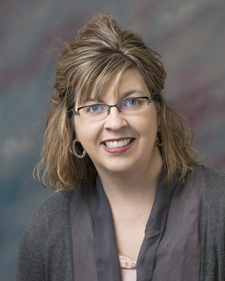 Michele Karen Johnson joined The College of St. Scholastica Department of Occupational Therapy as an Assistant Professor in January 2016. 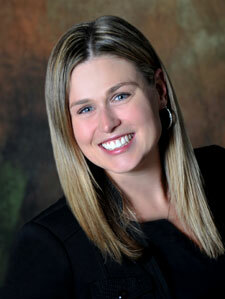 She practiced as an Occupational Therapist in the Duluth area for 16 years prior to her start with the college. 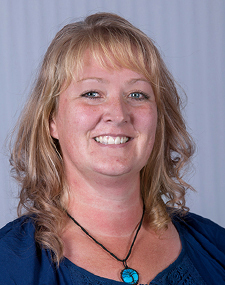 She teaches courses in Documentation and Assessment, Intervention Skills for Occupational Therapy, Administration and Supervision in Occupational Therapy in the spring. In the fall, Michele teaches Gerontic Occupational Therapy, Leadership Skills in Occupational Therapy, and is a co-teacher in the Evidence Based Occupational Therapy class. Michele earned her Post-Professional Doctor of Occupational Therapy from Rocky Mountain University of Health Professions in August of 2015. In 1999, Michele received her first degree of Bachelor of Science in Occupational Therapy from the University of North Dakota. Michele is a member of both The American Occupational Therapy Association and the Minnesota Occupational Therapy Association. 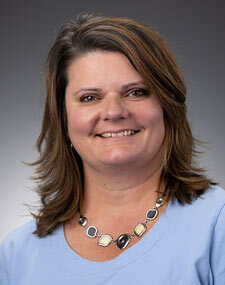 Michele brings a broad knowledge base to the occupational therapy department. Her first eight years of practice she developed her generalist skills in both hospital-based settings and skilled nursing facilities. During this time, she developed a skill set specifically in treatment of the adult and elderly populations. In 2007, Michele took on a role as School Occupational Therapist for a local Duluth School district. She practiced in this setting through December 2016, while solidifying her skills as a pediatric occupational therapist. Michele is a member of the Roster of Accreditation Evaluators for the Accreditation Council for Occupational Therapy Education. She is also a member of the Patient and Family Advisory Council for Amberwing here in Duluth, MN. Michele has recently become involved with the Duluth Alzheimer’s Association as a volunteer coordinator for the Walk to End Alzheimer’s. 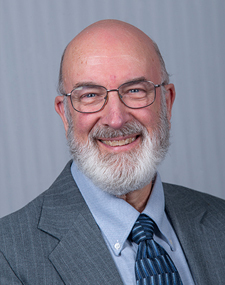 Dr. Killough’s teaching areas in the entry level program include Cardiopulmonary Evaluation and Management, Physiological Response to Injury and Exercise, Systems Screening and Management I, Patient Client Management I and II, Multiple Systems, Geriatric Evaluation and Management. In the tDPT her teaching areas are Diagnostic Imaging and Differential Systems Screening. 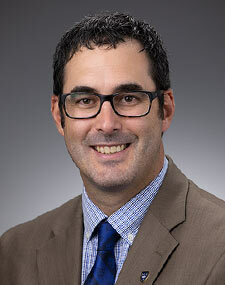 Research interests: Fall prevention in the geriatric population, cardiopulmonary implications of physical therapy interventions for neurological impairment, Manual Therapy as an adjunct for Physical Therapy in Urinary Incontinence, and Ergonomics and Bariatric Geriatrics. Dr. Killough earned a B.A. in Biology from Carleton College, Northfield MN in 1976, a M.S. in Physical Education with an emphasis in Exercise Physiology from The Pennsylvania State University in University Park, PA in 1981, and an M.A. in Physical Therapy from The College of St. Scholastica in 1993. She earned a D.P.T. from Simmons College in 2006. She was certified as a Geriatric Clinical Specialist by the American Board of Physical Therapy Specialists in 2003, receritfied in 2013, and as a Certified Exercise Expert for Aging Adults in 2011. 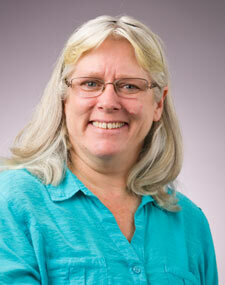 Kathy has been with the Physical Therapy program since 2005. 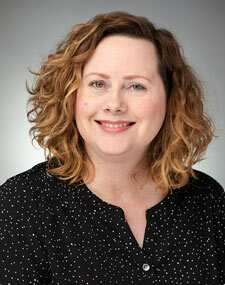 She earned her AAS in Health Information in 2000 along with her Registered Health Information Technician certification. Kathy has a wide range of record management in various fields including Child Protection, Dialysis, OP Clinic, and Long Term Care. She currently works as the Administrative Assistant for the department ensuring that faculty and students have the support they need to achieve program goals and outcomes. Education: BA Health Sciences, College of St. Scholastica, 1993; MA Physical Therapy, College of St. Scholastica, 1995; ScD Physical Therapy, Texas Tech University, 2018. Teaching Responsibilities: Current responsibilities include: Examination and Evaluation I & II; Musculoskeletal Evaluation and Management; Multi-System Evaluation and Management; and Patient Client Management III and IV. 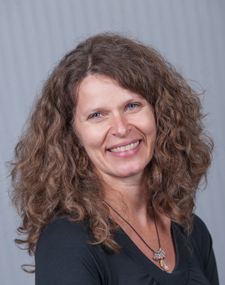 Research Interests: Pain science, clinical reasoning, neurodynamics, mobilization/manipulation, essential soft skills (e.g. motivational interviewing and therapeutic relationships) and tissue loading/progression in rehabilitation. 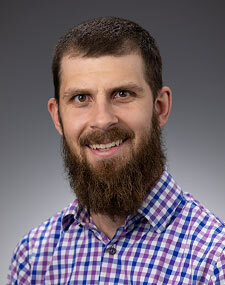 Professional: Mr. Kittelson is a member of the American Physical Therapy Association (APTA), the American Academy of Orthopaedic Manual Physical Therapists (AAOMPT), and an APTA orthopaedic and education section member. He is an orthopedic certified specialist (OCS) as certified by the American Board of Physical Therapy Specialties, and a certified orthopedic manual therapist (COMT) for the extremities. He is currently (2016-2018) an orthopedic residency mentor for Evidence in Motion (EIM). Clinical experience: Primarily outpatient outpatient orthopedics. Experience in these other areas of practice: inpatient and outpatient neurological, home health care, inpatient/acute care, skilled nursing facilities, vestibular rehabilitation,and occupational medicine/industry. Dalerie started a full time appointment with the physical therapy department in 2010. Areas of clinical expertise include vestibular rehabilitation and integration of Pilates based exercise with rehabilitation. She completed American Physical Therapy Association (APTA) competency based training in vestibular rehabilitation at Emory University and advanced APTA competency training at Duke University. She currently practices at Essentia Polinsky providing vestibular rehabilition. Additionally, Ms. Lieberz has completed over 100 hours of training in Pilates exercise methods including completion of Stott mat and reformer coursework. 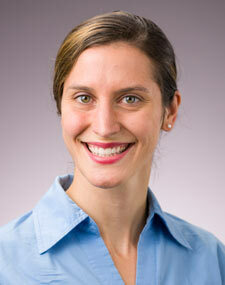 Ms. Lieberz is an active member of the APTA and recognized as a Geriatric Clinical Specialist (GCS). Dalerie is the Director of Clinical Education which involves coordinating integrated clinical experiences and community based internships for DPT students. Her primary teaching responsibilities within the DPT program involve coordinating the four course Patient Client Management Series (PCM I-IV). The PCM series is offered across the 1st and 2nd years of the DPT program, emphasizing integration of didactic course work and application of clinical skills to patients, which provides students with opportunities to develop competency prior to clinical internships. Dalerie is responsible for organizing the pro bono student PT clinic on campus. Additionally, she is responsible for placing students in full time internships and following students while progressing with internships. She is an APTA credentialed clinical instructor. Other teaching responsibilities in Physical Therapy include vestibular rehabilitation. Christine recently joined The College of St. Scholastica Occupational Therapy Program faculty in 2015. 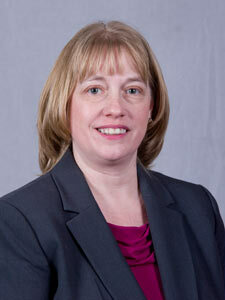 Also new to Minnesota, Christine had been working and living for over 20 years in the far-west suburban Chicago area. 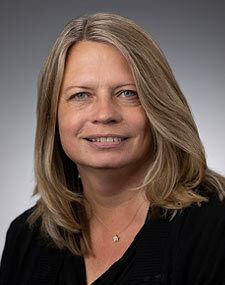 Originally from central Illinois, Christine received her Bachelor of Science in Occupational Therapy from the University of Illinois at Chicago (1985). Christine worked in a variety of service settings in midsized communities prior to relocating to Chicago. She received her Bachelor of Science in Human Biology (1997) and Doctor of Chiropractic (1999) from National University of Health Sciences in Lombard, Illinois. As part of her professional experience, Christine has directed several multidisciplinary clinics, provided consultative services for private and governmental agencies, and served on advisory boards for multiple national organizations. 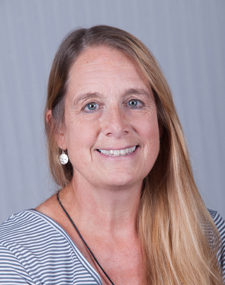 Initially, Christine’s teaching responsibilities have been focused in the areas of biomechanics, administration and leadership, and neurorehabilitation. 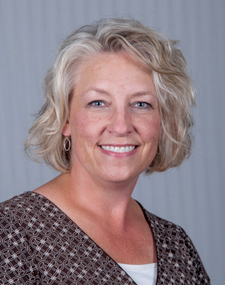 She will be working with other faculty as she takes on direction of the on campus Occupational Therapy Clinic in 2015. 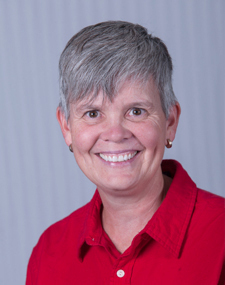 Christine’s scholarship and research interests include assessment of vision for determining its impact on occupational performance, translating evidence-based practice for the current healthcare environment and development of the profession internationally. 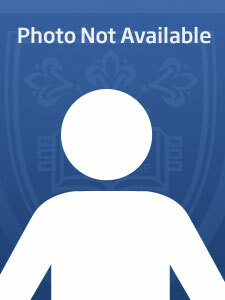 Samantha started her appointment at the College of St. Scholastica in the fall of 2013. 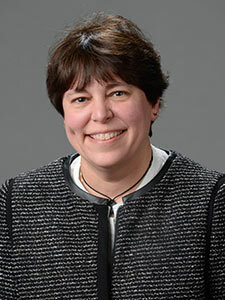 She is an assistant professor in the DPT program with current teaching responsibilities in Patient Client Management II, III, and IV, Lifespan Applications I, Lifespan Motor Development, Psychosocial Issues in Physical Therapy, Interventions I, and the PT Elective. She is also the Assistant-Director of Clinical Education for the program, working with students on their clinical internships. 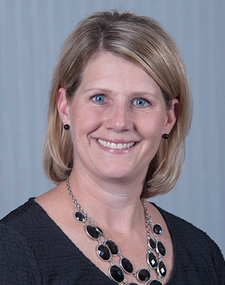 Samantha is a member of the American Physical Therapy Association (APTA) with section memberships in Orthopedics, Pediatrics, and Education and serves on the MN state board for physical therapy. 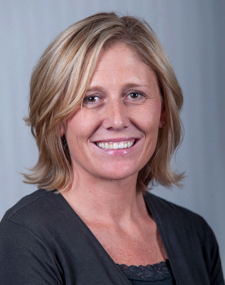 She is an APTA credentialed clinical instructor and trainer, and is also certified in both orthopedics and pediatrics by the American Board of Physical Therapy Specialties. Samantha’s clinical experience includes outpatient hospital-based and private clinic orthopedics, sports, and pediatrics in the Portland, OR metro area. She also partnered with Lake Superior Community Health Center to establish a probono PT practice to work with an underserved population. 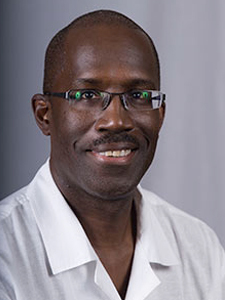 Research interests include development of student clinical reasoning skills, intra and interprofessional education, and dosage parameters for rehabilitation for children with cerebral palsy. Teaching responsibilities: Neuroscience, Functional Anatomy, Biomechanics, Patient Client management I, II, III, and Critical Inquiry III. 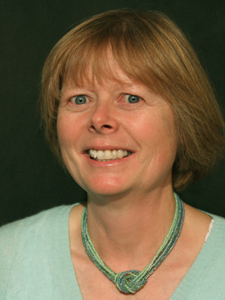 Research interests: Neurophysiology of eye movement, head movement and balance control. 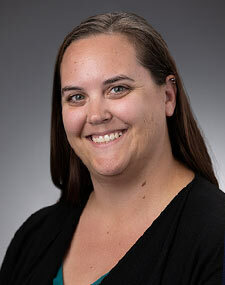 Research: Dr. Ogston's doctoral work was in the area of shoulder biomechanics, but has recently been investigating various realms of running research in the sensorimotor lab leading various student groups along with her own projects. She is also interested in qualitative outcomes in teaching pedagogy. Clinical Experience: Sports Medicine/Orthopedics and Pediatrics. Michelle is the Social Work Program Field Director. 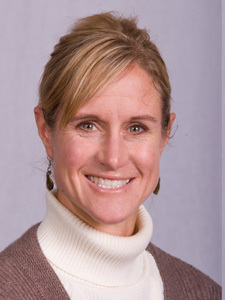 Michelle joined the CSS faculty in 2004. 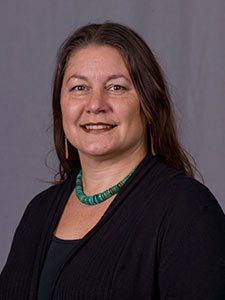 Michelle is also a Child Welfare Master Trainer through the Minnesota Department of Health and Human Services; special interests include Indigenous populations and foster care. Marcia provides course instruction for the Undergraduate Social Work Program. 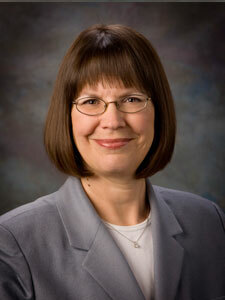 Marcia graduated from the University of MN- Twin Cities campus with a B.S. 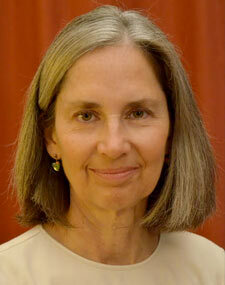 in Social Work, with a concentration in Child Welfare and American Indian studies in 1977 and returned for her M.S.W. in 1980, specializing in children and families, and chemical dependency. She was awarded a Doctorate in Education degree from Hamline University in 2017. 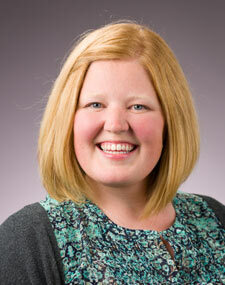 She is licensed in the state of MN as an Independent Clinical Social Work practitioner. Marcia has had over thirty years of practice experience with children and families in areas of addictions, mental health, domestic violence and special needs. She has been with the C.S.S. Social Work Program for the past 25 years, having an interest in international social work practice, immigrants and refugee populations, Native American services, Veterans, and families of children with special needs. She may be contacted through her cell# 651-247-9313. Ms. Spangler has a Bachelor's degree in Psychobiology, a Masters degree in Physical Therapy, and a Transitional DPT degree. She has extensive clinical experience in multiple areas, having worked in a number of different clinical settings including out patient therapy, in patient rehabilitation, and as a travelling therapist. 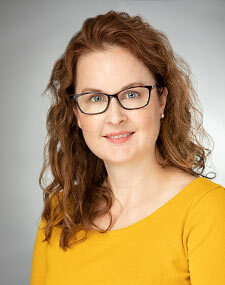 Her main area of teaching and of clinical expertise is in neurological rehabilitation, with a special interest in the rehabilitation of patients with spinal cord injury. 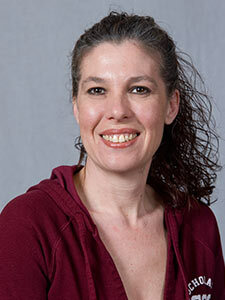 In the Department of Physical Therapy Ms. Spangler Teaches in a variety of courses. She coordinates the neurologic rehab. courses and participates extensively in the Patient Client Management course series. 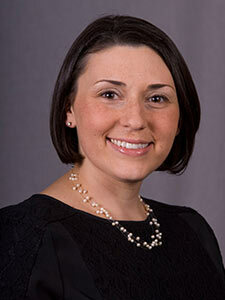 Currently Ms. Spangler serves as the Chair of the PT Admissions Committee. Beyond CSS Ms. Spangler is active with the local Habitat for Humanity chapter, and volunteers extensively in dog rescue through Retrieve A Golden of the Midwest. 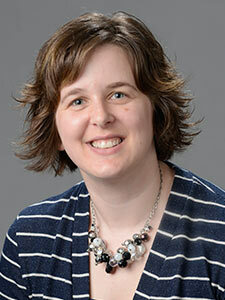 Michelle joined the Department of Occupational Therapy at The College of St. Scholastica in the fall of 2012. She started her career at the college as an adjunct professor working with students in the on-campus clinic. In addition, she served the community as an occupational therapy clinician practicing primarily in an out-patient therapy setting. She is currently a full time Assistant Professor and Academic Fieldwork Coordinator for the OT Program in the School of Health Sciences. She loves to travel and is working on the development of an International Learning Experience for students. Michelle graduated from Florida Atlantic University in Boca Raton, FL with a Bachelor’s Degree in Science. Her focus of study was Biology and Psychology. She completed her Master’s Degree in Occupational Therapy from Nova Southeastern University in Ft. Lauderdale, FL. She is presently working on her doctoral degree at the University of St. Augustine with an emphasis on upper extremity rehab, teaching, and research. Beyond her faculty responsibilities, Michelle enjoys hiking, biking, camping, boating, traveling, snow sports, dogsledding, photography, reading, art, and just being a Duluthian. She is also trying to learn how to play the ukulele and drums. Lake Superior is a draw for her to remain in the Northland indefinitely. She also loves the Boundary Waters Canoe Area (BWCA) and is passionate about protecting our fresh water and natural surroundings. She has two amazing dogs that she loves to take with her on adventures. She is also very enthusiastic about connecting individuals of all abilities with nature and it’s inherit healing of spirit. She hopes to empower people to reach their full potential whatever their dreams may be.